Buying a car or truck can be stressful enough without having to haggle with the dealership finance department too! Talk to your personal banker at Argentine Federal Savings before you go shopping to explore payment amounts at a low Argentine interest rate. At Argentine Federal Savings, "We Care" about how this loan will work for you and your financial future. 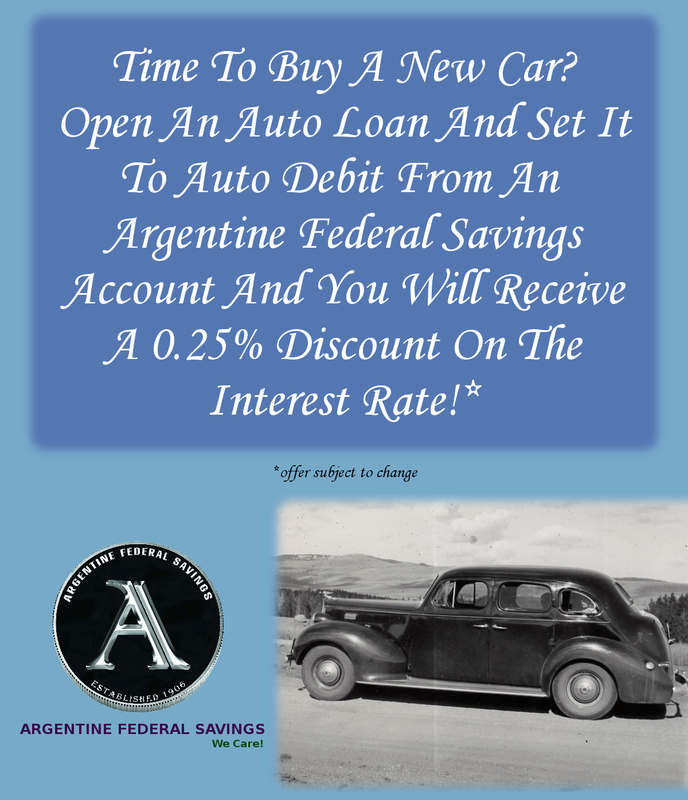 Argentine Federal Savings is proud to lend up to 90% of the NADA retail value on pre-owned vehicles. If you are in the market for a new car, we will lend up to 90% of the final purchase price for qualified borrowers. As a Community Savings and Loan, we are committed to reinvesting in our branch location communities in Johnson and Wyandotte Counties. Argentine Federal Savings cares about our local members and focuses exclusively on top notch customer service within the greater Kansas City area as well. Contact a friendly Argentine Federal Savings Loan Officer today at (913) 402-1500 to explore your loan options on your next car, truck, or SUV.